Looking forward to add more value to your existing property? SCR Rendering is here to help you out with the rendering process. 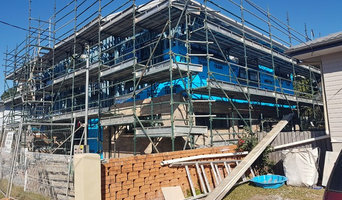 Being one of the reputed names in the industry of solid plastering in Brisbane, our prime motto is to modernise the properties around the locality. We have the best team of renderers in Brisbane who have the required expertise and experience of carrying out the work with efficiency. Our Services • House rendering in Brisbane • Multi storied residential rendering • Aged care facilities • Commercial rendering in Brisbane • Repairing services • Cement rendering in Brisbane • Acrylic rendering in Brisbane • New house rendering service • Stucco covering • Substrates rendering Why Choose Us • We are not only known for high-quality work but remaining honest, and dedication towards the profession is our core values. • We only use Australian made products from locally sourced materials that help in economic growth. • We provide workmanship guarantee for each of our service. • We carry out the work according to the manufacturers' specifications. • We carry both Work cover and Public Liability insurance. • We approach every task with optimum professionalism. 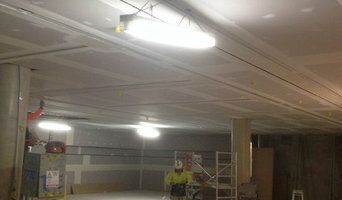 • We are licensed with the Queensland Building and Construction Commission (QBCC). Customer satisfaction has always been our prime objective, and we strive to make it a reality. From our very first meeting with the clients, we take the pledge of understanding the customer need and carry out our work with maximum precision. 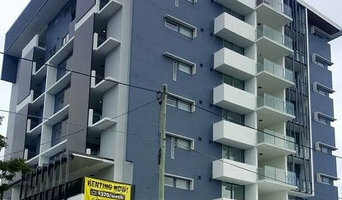 With over 10 years experience in the building industry our professional team have the experience and knowledge to take on a wide range of jobs from a small hole in the wall to large renovations all around Brisbane and the surrounding area. Whether you are building an extension on your home or renovating your entire home we can provide an obligation free competitive quote while ensuring the workmanship is carried out to the highest of standards. Looking for podiatry in Brisbane, where you can receive friendly and caring advice and specialised treatment options to suit your specific condition? Look no further than Pivotal Motion. With our qualified and highly experienced podiatrist Caoimhe Holly taking care of you, any pain or concerns you have with your feet will be expertly treated with the most current treatment options available. Pivotal Motion Podiatry offers comprehensive podiatry services including but not limited to: treatment of various foot and lower limb conditions, doing biomechanical assessments, prescribing orthotics, and performing diabetic assessments. We are conveniently located in Newmarket, inner North Brisbane, and are easily reachable for clients from Brisbane suburbs including Wilston, Windsor, Alderley, Ashgrove, Enoggera, and Kelvin Grove. Brothers Rendering Solutions provide quality finishes for you home. We offer the following services, and are always open to discussing each project individually: Types of Render Cement Render, Texture Render and Smooth Set Render and we are able to render over block, brick, blue board and green/foam board. Types of Projects Homes, renovations, commercial and internal/external applications. If you would like to use our services please feel free to call Luke Harris (0400 000 000) or Alex Mac (0400 000 000) to organise your free consultation and quote. So whether you’re building from scratch, renovating or restoring a heritage house, browse our directory of Redbank Plains, Queensland plasterers, renderers and manufacturers of plaster products for creative solutions for walls, ceilings, columns, arches and cornices. What can a renderer and plasterer in Redbank Plains, Queensland do? 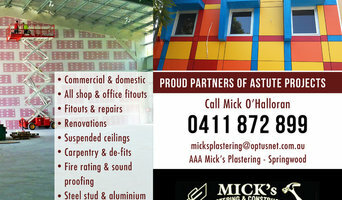 Find Redbank Plains, Queensland rendering and plastering services on Houzz. Scroll through this page to find rendering and plastering professionals in your area. Just enter your suburb in the top field to narrow your search. Get contact information or message professionals directly so you can ask about rates, and read customer reviews.